I know Organization_42 will choose Kaimyx. Reika wrote: I know Organization_42 will choose Kaimyx. Where EVER did you get THAT idea from? 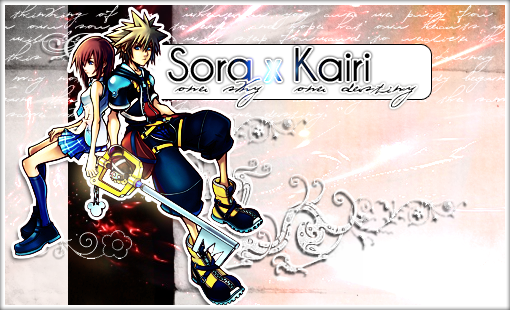 I want to also say SoNami, but I'm not sure if that really counts because Namine wasn't an Organization member. 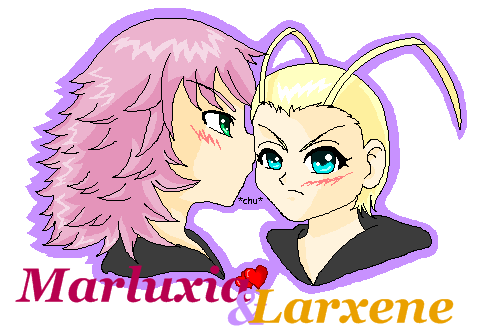 I love Axel/Larxene, Axel/Aerith, Roxas/Namine, Demyx/Larxene, and...huh. I can't think of many. Weird, I thought I had a lot of favorites, but I guess I don't. See, I do believe that a pairing between a Nobody and a person with a heart could work in canon, if the person reminded the Nobody of what it felt like to be human, but Nobody/Nobody...not so much. Roxas and Namine are obviously not Nobodies, so they're the exception to the rule, and with Axel/Larxene it's more for the chemistry than anything else! 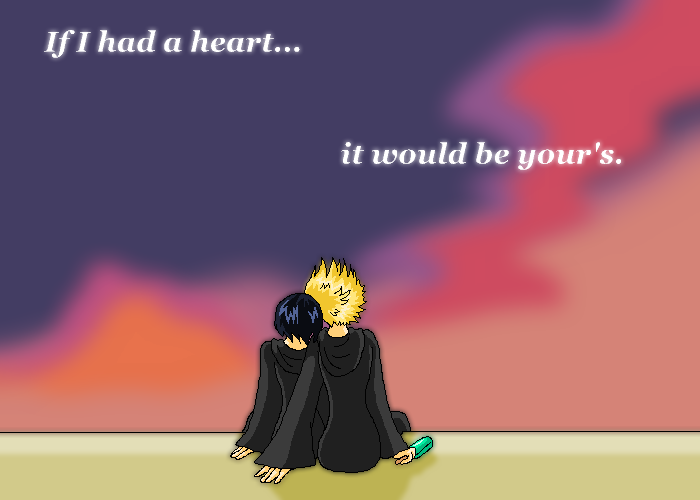 ...oh, and there's this pairing called Demyx/Kairi that I like.